One of my current research interests is to understand how the representation of different groups affects policy outcomes and citizens’ subsequent evaluations of the political system. A policy area that has wide ranging implications for society is education. In early 2017, the education system in Argentina was brought to a complete stop by massive teacher protests taking place across the country. Teachers in the provinces, as well as in the capital city of Buenos Aires protested low wages and poor working conditions, resulting in a standoff as neither the teacher unions nor the government were willing to compromise. This raises an important question: what kind of representation do teachers receive from the political system and who represents education policies? Do policy makers have expertise and experience in the education system required to develop effective education policy? 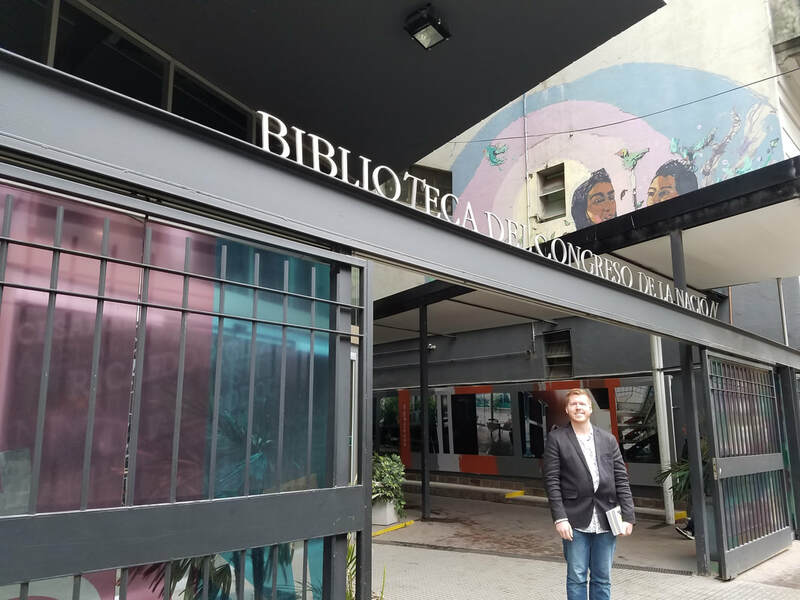 .To lay the foundation for this new research project, I conducted four weeks of fieldwork in Buenos Aires in the summer of 2017 and 2018. During this time I developed three new datasets. First, I catalogued data on legislators’ occupational backgrounds, both at the national and provincial levels, to evaluate if educators are well represented in the policy making process. Second, I collected national and provincial data on bill introduction. Together, these data will allow me to assess whether legislators with occupational backgrounds in education are more likely to represent and legislate on education policies. Third, I am conducting archival research to investigate how political elites and mass media outlets cover and frame the public’s discussion of education policy and teacher strikes.